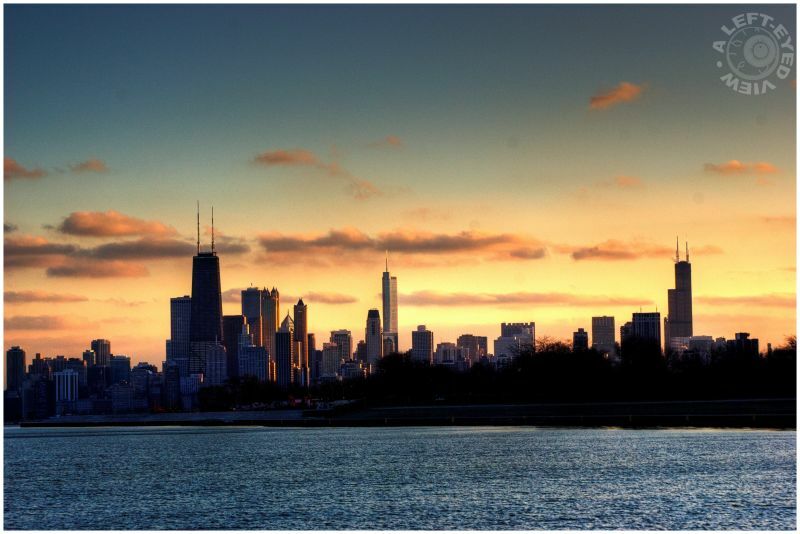 Steven (Chicagoland, United States) on 3 February 2010 in Cityscape & Urban and Portfolio. The full Chicago skyline as seen from the northernmost breakwater of Belmont Harbor. Not the best exposure I was hoping for as the late afternoon sun was already behind the skyline. An early morning capture of the skyline from this area would be most ideal. Serving as "bookends" to this composition are the John Hancock building on the left and the Sears (Willis) Tower on the right, with the Trump Tower positioned in the center. Photo taken December 4, 2009. What a great skyline ! An incredible view on a city and its modern architecture. Steven, very nicely seen and captured. I disagree with you it's a perfect exposure and great light. A beautiful framing for this photograph, very impressing these lines of buildings under an imposing sky..
Lovely Capture.... This is just beautiful..
Looks like a spectacular skyline to me. Great capture, love colrs of the sky! Amazing skyline ! I love the sky ! Great capture ! I like this shot - the viewpoint is varied from the norm, and the colors look natural. You better correct yourself ;) Willis. Sorry it will always be the Sears tower. The father of a childhood friend of mine worked on the Sears tower while it was being constructed. He walked the girders with one eye, the other was glass. I've actually never been inside there though the glass room intrigues me. I'm also not too happy with heights, not sure I could do it. My son said the building sways. This shot is beautiful though from what you said it sounds like you wanted more color in the sky. So you will be going out early? @Self-Indulgence: Didn't want more color in the sky, but more reveal or exposure on the facades of the buildings. I agree that Sears Tower's name should always remain.